The Maldivian government has revealed it held secret negotiations with former Maldivian President Mohamed Nasheed regarding resumption of All-Party Talks. Speaking at a press conference at the President’s Office this Monday morning, the Minister of Fisheries and Agriculture and government’s Chief Negotiator for All-Party Talks, Dr. Mohamed Shainee said the government held secret negotiations with Nasheed and even exchanged documents. “We were holding negotiations with the opposition with a top independent body acting as mediator. President Nasheed was the chief negotiator. President Nasheed said he was speaking with the backing of all opposition parties,” said Shainee. Shainee said the Maldivian government wanted to publicize news of the negotiations to the international media, but that the negotiations were kept secret at the request of the opposition. “The government said we want to share this news with the international media and the people of Maldives. We said we did not want to keep anything hidden,” said Shainee. He said the Maldivian government disclosed it was negotiating with the opposition to the European Union (EU) and United Nations (UN) without mentioning any specific names. He said the government made the decision to go public with the negotiations because the opposition violated the agreement it had with the government. “The opposition held a press conference on February 15, revealed the conditions they submitted to us in writing, and announced they will not join talks unless the conditions are met. The agreement was breached at that point,” said Shainee. He said the Maldivian government and Nasheed exchanged documents during the secret negotiations and that the Maldivian government will not hesitate to reveal the documents, if necessary. The government previously refused to negotiate with Nasheed, maintaining the Maldivian government does not negotiate with criminals. When asked about this at the press conference, Shainee said the government negotiated with Nasheed to show its goodwill. “This was done with good intentions. 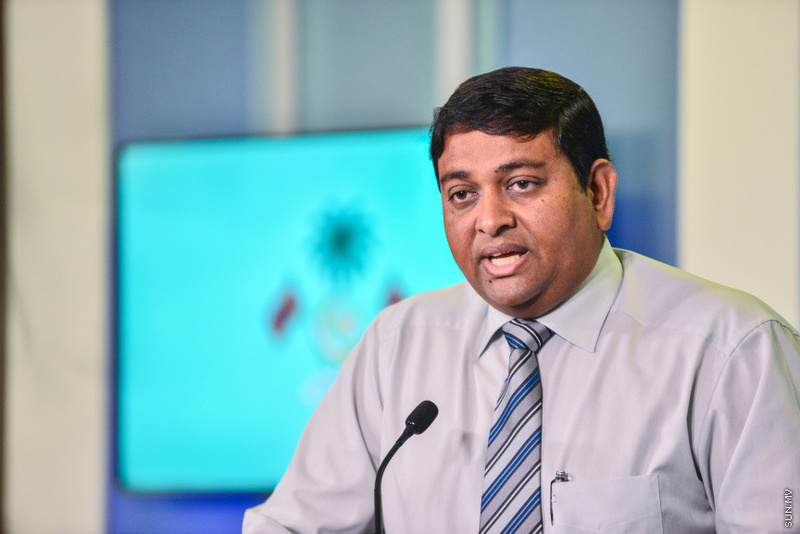 With the good intention the government and government-aligned political parties will do whatever it can, politically, to meet their conditions,” said Shainee. He said the government would never have refused to negotiate with Nasheed if he initiated it and proved he represents the opposition. He said the government, and a large number of Maldivian people protested against “negotiating with a criminal”, but that the government later conceded and said it was ready to negotiate with Nasheed.